A stitch in time saves nine, we might have heard and read a lot about this idiom in our school days. This simply means that a little effort spent sooner to fix a small problem prevents it from becoming a larger problem requiring more effort to fix later. 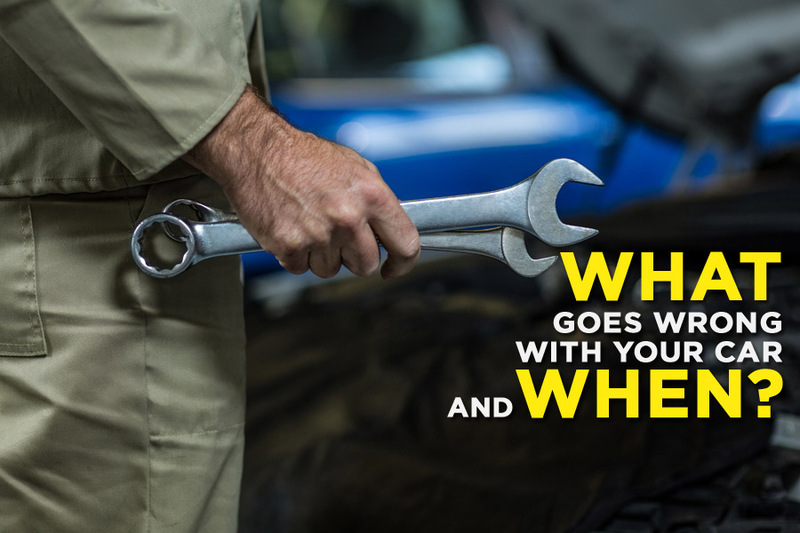 Always try to apply this theory in maintaining your vehicles, if you sort out a problem immediately it may save your time, money and extra work later. You should be able to understand the difference between 1) spending money on maintenance, and 2) spending money on repairs. A lot of people believe checking lubricants and coolants and keeping an eye on tire-pressure and fluids etc is considered as properly maintaining a vehicle, well.. partly yes. 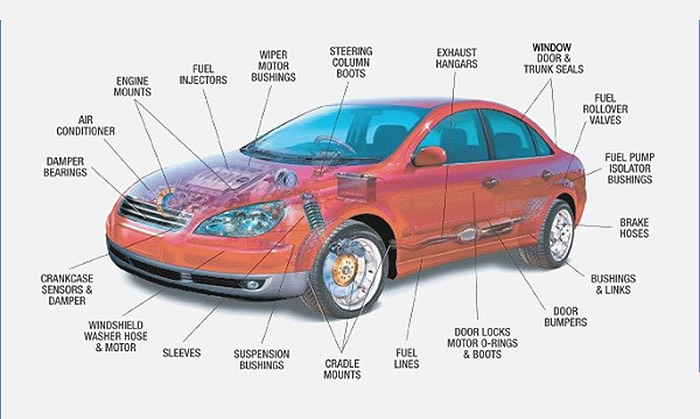 But an automobile is a combinations of hundreds of mechanical parts, each having its own life and will eventually brake down no matter how good you take care of them. Off course, if you do not maintain your car (means regular oil changes, filter replacements and keeping an eye on critical fluid levels), you will be faced with major repairs much sooner than you should but still, you can’t avoid auto repairs unless you buy a brand new vehicle or trade your old car before it reaches the point where things start to wear out and cost you money to fix. To avoid any mishap, particularly if you have an older car, you should always try to spend some money on maintenance rather than repairs. People often wait for the things to break down in order to replace or repair them, but it will be much practical and beneficent for you if you timely inspect and replace the worn out components before they actually break down and cause you troubles. The following is a list of items that typically fail as a result of high mileage or time and should be replaced before they are done with their life. Batteries usually last up to 3 years without giving you troubles if you properly maintain them. However a lot depends on the brand you are using, the climate, and your vehicle’s running routine. A cheaper battery may start giving you trouble in a year or so. Also if you live in cities where temperature is usually hot, it can drain out your battery quickly. If your vehicle runs normally then the battery will last longer, but if you have your vehicle parked for most of the days, then it might take a toll on your battery life. What you need to do: Keep the battery water level in check. Pay attention to the way electrical components behave. 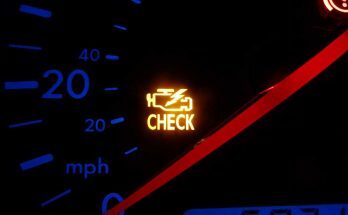 If the car is taking longer self to start, or if you notice the dashboard, speedometer, headlights or horn behave unusual, get your battery inspected. Also ensure battery related components such as starter motor, alternator or other accessories are working fine and aren’t putting much load on the battery. The water pump circulates coolant between the engine and radiator to keep the engine from overheating. By the time an OEM water pump reaches 100,000 km or more, the chances of water pump failure due to coolant leaks goes up sharply. If the pump has over 100,000 km on it, you’re driving on borrowed time. The coolant will begin to leak and loss of coolant will eventually cause the engine to overheat. If the water pump is leaking, it needs to be replaced immediately. What you need to do: Keep an eye on coolant in expansion tank, if you are experiencing a constant coolant loss, look for any signs of leakage around the water body. Notice the engine temperature, if its overheating. Steam coming from radiator also indicates a problem in your cooling system, most likely the water pump. You might also hear a high pitched sound that comes from the front of the motor. This is typically caused by a loose belt that creates a harmonic buzzing or whining sound as it circulates. The loose belt is commonly caused by a pulley that has become loose or that the bearings that operate the water pump assembly are wearing out. Replace the pump before it breaks down and note the date/ mileage when the newer one is installed. Generally fuel pumps have a long working life. Although they can literally last for the entire life of your car but (in rare cases) can still break down at any point, leaving you stranded on the road. Modern cars use electric fuel pumps that are usually located inside the fuel tank, however older cars (which are still running on our roads in good number) still uses conventional fuel pumps located in the engine bay. Fuel pumps often give no warning that they are about to fail. Some may buzz or cause hard starting, hesitation or occasional stalling problems. But more typically, they just quit working. 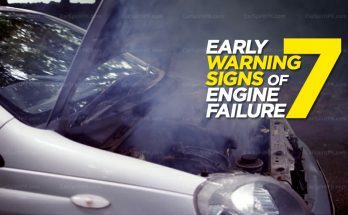 The fault may also be something other than the pump (such as a bad electrical connection, faulty power relay or plugged fuel filter or line), so accurate fuel pump diagnosis is essential to avoid replacing a pump unnecessarily if the engine is not getting any fuel. What you need to do: If you are running a car on CNG, always keep some fuel in the petrol tank and try to drive on petrol occasionally. Some people believe it’s better to start your car on petrol and convert it to CNG later. Efi cars with CNG kits does exactly like this but in carburetor cars, you have to switch it yourself. You can also dedicate a day in a week for the vehicles to be driven on petrol in order for the fuel pump to remain functional. Related: Do You Really Need to Warm Up the Engine Before Setting Off? CNG cars that aren’t driven on petrol for a long time or having empty fuel tank damages the fuel pump and cause expensive repairs. Also try to keep enough fuel in the tank to keep the pump lubricated, as electronic fuel pumps are located inside the fuel tank submerged in the fuel. However a large quantity of old unused petrol can also damage your engine if you plan to use it after several months. So it’s always a better practice to periodically run your CNG installed vehicle on petrol. Rubber gaskets and seals tend to harden and shrink as they age. After 5 years or so, they usually start to leak no matter what you do. The only way to stop the leaks are to replace the old gaskets or seals. Even worse is a head gasket failure. After 50,000 to 70,000 km, head gaskets may start to leak coolant or compression. This will cause the engine to overheat. Sometimes the leaking coolant will foul a spark plug. It can also dilute the oil in the crankcase. What you need to do: Check & replace the seals and rubber components after the above mentioned period. Remember if you drive your vehicle in congested traffic within cities, you may need to replace the gasket earlier than 50,000km as a lot depends on the circumstances the engine is operated and your way of driving. Rubber timing belts are required to be replaced after several thousand kilometers. On older engines, the interval is typically every 70,000 km. On newer engines, the replacement interval is typically beyond 100,000 km. If the belt is never changed (which is often the case), it may suddenly break and fail. If the engine is an interference engine with tight clearances between the valves and pistons, this can bend intake valves too. What you need to do: Keep the condition of timing belt in check by inspecting it after a certain thousand km, if this is the first time you are about to change, then consult your owner’s manual. Inspect & replace when necessary. This is one repair vehicle owners fear most, and rightly so. Nobody repairs transmissions anymore. They replace them with remanufactured transmissions. The failure rate for automatic transmissions becomes very likely once the odometer goes past the 150-200k mark. Generally the transmission should last as long as the engine, but few does. What you need to do: Always be gentle on automatic transmission, check fluid levels and if you have an old automatic car that has transmission problems, it’s recommended to replace with new transmission rather than fixing the old one. 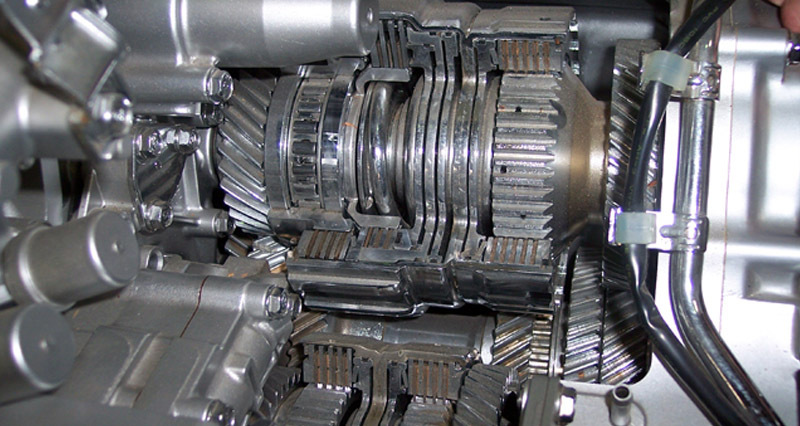 Manual transmissions will usually last the life of a vehicle, but the clutch usually does not. The life of the clutch depends a lot on the driver. A person who drives aggressively will burn up the clutch must faster than someone who drives with a gentle paddle. 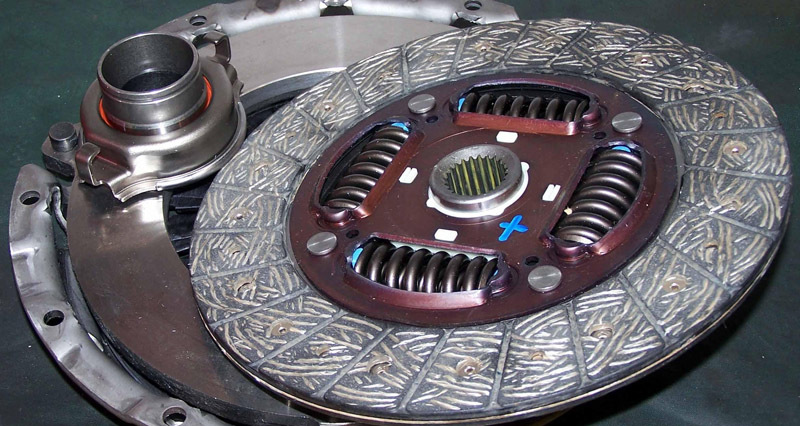 Many clutches need to be replaced by the time they have 70,000 to 100,000 km on them. A driver who is hard on a clutch may kill his in under 50,000 km or less! What you need to do: If you notice the engine’s RPMs surge after shifting into gear but the car won’t move as fast as the engine sounds like it’s going. This is usually caused by a clutch that needs to be replaced. Replace the pressure plate & bearings along with the clutch once needed a replacement. 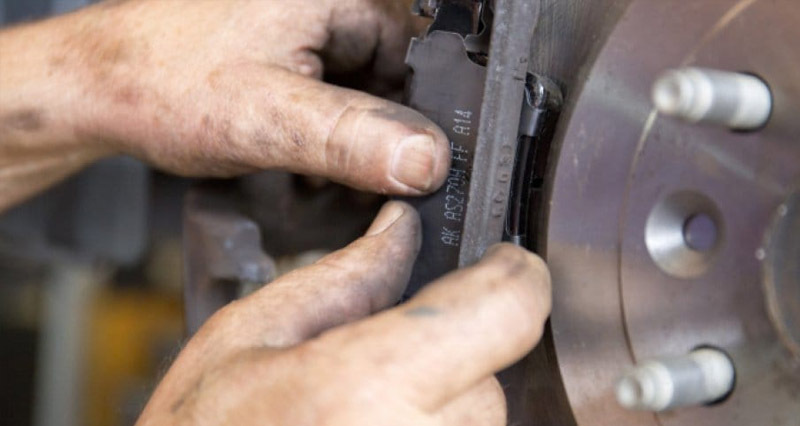 Brake pads are rather consumable items that eventually wear out and have to be replaced. 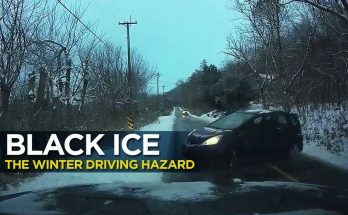 The rate at which they wear depends on how often the brakes are applied, how hard the brakes are applied, and the weight and velocity of the vehicle. Somebody who rides the brakes, drives aggressively, spends a lot of time in stop-and-go city traffic, etc., will wear out their brake pads much more quickly than a driver who stops gradually, or does a lot of highway driving. A large, SUV can eat up a set of front brake pads in 30,000 km, while a smaller lighter economy car might go up to 60,000 km before the front pads are worn down and need to be replaced. Consult your owner’s manual. What you need to do: Symptoms of worn brakes include scraping metallic noises when you apply the brakes, a pull to one side when braking, a soft or spongy feeling brake pedal etc. If you experience any such situation, then it means it’s time to replace your brake pads. Tires are also a wear item that eventually wear out and have to be replaced. Most original equipment tires will go up to 70,000 km. Cheaper quality replacement tires may only last 30,000 km while higher priced tires may go even 100,000 km. 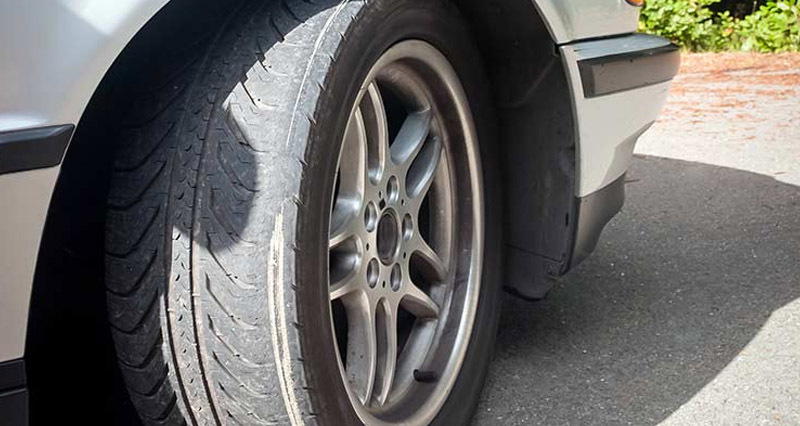 What you need to do: Wheel misalignment and/or worn steering or suspension components can accelerate tire wear significantly, always keep your tires aligned and suspension in proper working condition. Remember: Tires age internally regardless of mileage, and may become dangerously weak over the period of time. Tires that are more than 10 years old must always be replaced regardless of how much tread is left on them. For better fuel economy of a vehicle, the maintenance of the exhaust system is very much necessary. The exhaust system is used to remove the burned air-fuel mixture from vehicle by reducing the impact of toxic gases. The exhaust system of your vehicle is exposed to water and corrosive acids. Exhaust pipes and mufflers will often last up to 10 years or more, but if not taken proper care, they can rust through in as few as four or five years. Rust is the common problem of exhaust system that is caused when the available moisture reacts with iron or the steel and form iron oxide. 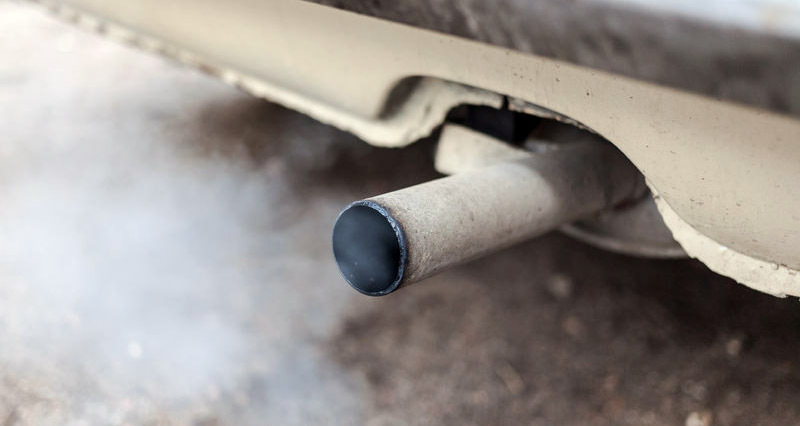 A leaky exhaust system not only makes a lot of noise, but it can also leak dangerous carbon monoxide fumes. What you can do: When you take short trips, the engine don’t get the optimum heat to vaporize the available moisture in it. This usually makes the exhaust contaminated and faulty. The gradual wear and tear and corrosion always limits the life of vehicle, so make sure to wash your vehicle weekly to control the corrosion as salt can speed it up within short time period. Related: Water Coming Out From Car Silencer- A Good Sign Or Bad Sign? Exhaust sounds: Loud clicking or knocking, smelly exhaust, engine noise. Make sure to change the oxygen sensor every 60,000 km to maintain a good fuel economy. While replacing muffler or any exhaust components, always choose OEM or stainless steel/aluminum parts as they will give you same performance with an extended service life. Synthetic rubbers and elastomers are used for coolant hoses, vacuum hoses, fuel hoses, emissions hoses, brake hoses, seals, weather stripping around doors and windows, the hood and trunk. Rubber typically hardens, shrinks and cracks with age. After 10 to 12 years, many original equipment hoses, seals and weather stripping can start to leak. Keeping a vehicle in a garage/ away from sunlight will reduce the exposure to ultraviolet light rays which ages rubber, and may extend the life a few more years. But eventually, many rubber parts even on well cared vehicles will deteriorate and fail. Engine parts made out of plastic can also become brittle and crack with age. This includes plastic intake manifolds, valve covers and oil pans. Other plastics that deteriorate with age include plastic fuel tanks, and plastic facias, bumper covers, body and interior trim, and dash covers, and plastics used in upholstery. 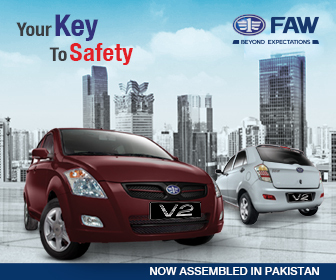 Remember cars, aren’t meant to last forever, but if you take good care of your vehicle and keep an eye on proper maintenance & timely replacement of key components, you will be able to extend the life of your vehicle and will enjoy a trouble-free tenure of ownership while saving good amount of time as well as money.